The new ‘like’ options and recent user interface update on the Facebook mobile app may have woken the hungry beast within you, but really…it’s only a small taste of times to come. 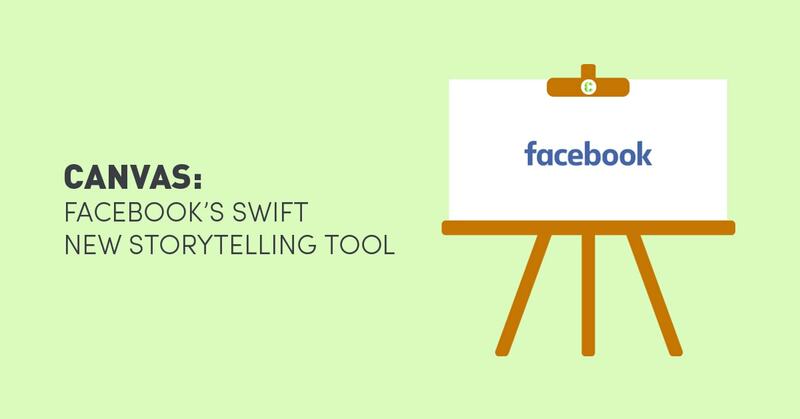 As the leading social network on the planet, there is a huge expectation on Facebook to continuously innovate their offering for businesses. The good news? They’re not going to disappoint anytime soon. Facebook is getting ready to roll-out their platform, which is set to dramatically change the way we advertise to the 62.5% Australians who use the social network. Digital marketers should start warming up their creative hands because Canvas is going to be a ‘new space for big ideas on facebook’. It’s the dynamic, colourful, and intelligent force that we didn’t know we needed. But we do. Ever heard the saying ‘show, don’t tell’? Well, now you can do both. After seeing a sneak glimpse, everything they say is true! It’s an interactive and responsive experience with 10 times faster load than any other visual content platform via the mobile web. 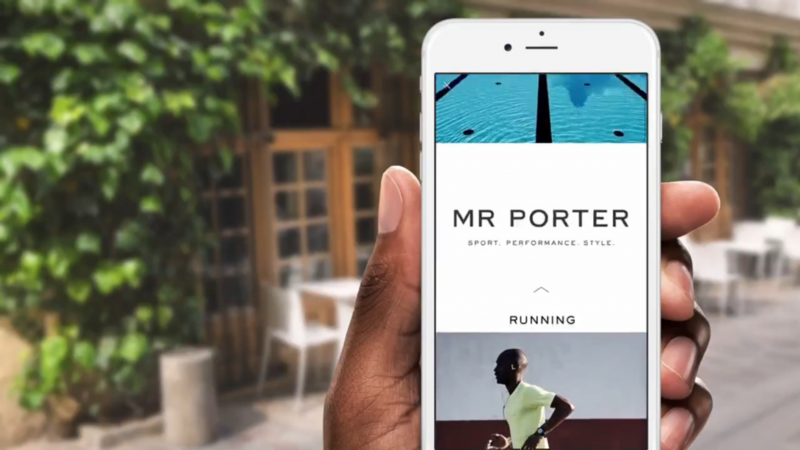 Their user-friendly builder will allow the combination of videos, still images, text, and call-to-action buttons. Users will be able to ‘swipe through a carousel of images, tilt to view panoramic images and zoom in to view images in detail’. Although it may look pretty, it’s smart too and its functionality is destined to provide real solutions for many different businesses. Canvas takes the old, static format of Facebook advertising and transforms it into an experience, which allows you to create an interactive advertisement with a message or call to action. A Canvas advertisement works differently as it links to an engaging multidimensional landing page that will work as a lead generating powerhouse. Want to showcase new products? Canvas. Want to promote a sale? Canvas. Want to tell a story? Canvas. 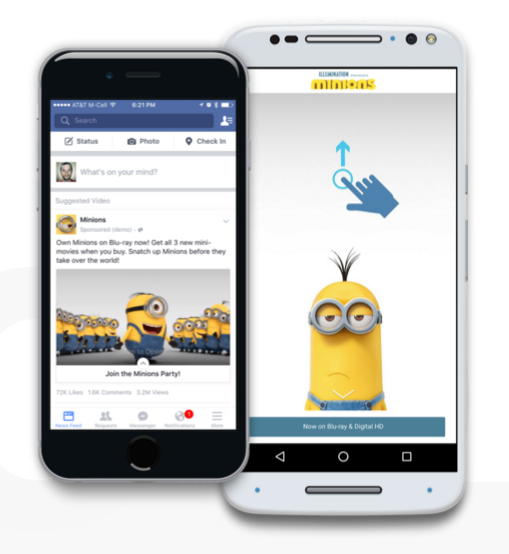 The below Minions example shows a seemingly normal sponsored video with the call to action ‘Join The Minions Party!’ Once the user clicks through, they’re taken to the immersive Canvas landing page. If you’re not too convinced by the colourful display, swiping, and overall swiftness of Canvas, let’s consider the hard, real statistics. 4 times as many consumers would rather watch a video than read great lengths about the product you’re selling. Native video uploads to Facebook have 10 times more reach than videos shared via third party hosts, such as Youtube. 40% of consumers state that video increases the chance of them purchasing online on their mobile. 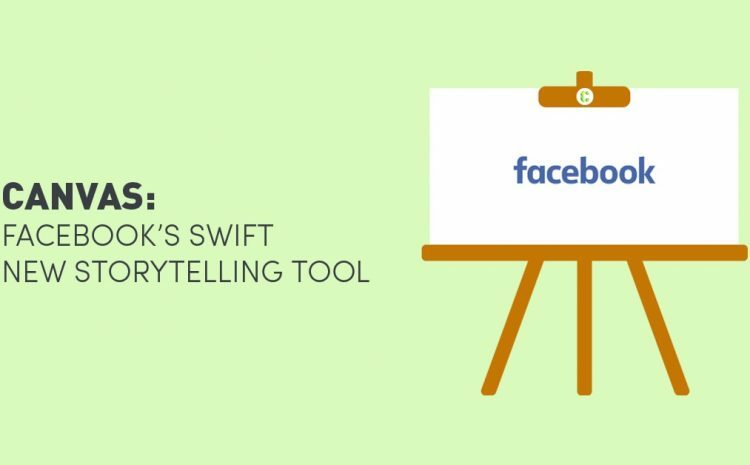 These statistics are impressive, but before you start planning your creative, it’s important to know that Facebook is yet to give all business manager’s access to Canvas. For now, you will just have to send your interest their way and hope that the wait isn’t too long. If you would like to know how Canvas can be used for your business, drop us a line here.